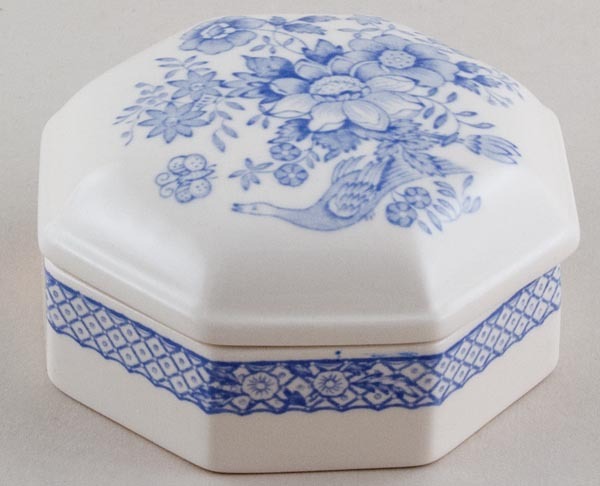 Pretty lidded octagonal box from a dressing table set. Masons version of Asiatic Pheasants. Backstamp: Mason's Patent Ironstone Stratford England Permanent Detergent Proof Decoration. Excellent condition.